A practical, how-to guide on the day-to-day compliance responsibilities faced by bank holding company and financial holding company compliance officers. 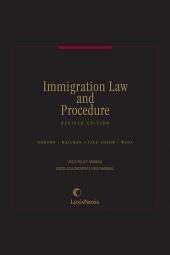 Print Book :2 volumes; looseleaf; updated with revisions. Designed to assist in developing and maintaining operating manuals, particularly with respect to permissible activities and limitations on transactions with affiliates and management officials. 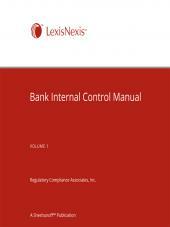 Functions as an auditing guide for ongoing compliance with respect to these activities and limitations. Includes requirements of the financial services modernization legislation, along with other recent legislation and related regulations. Instructions and sample forms for Federal Reserve Reports, applications and notices, practice hints and examples are all included. TechPar Group's Financial Services practice consists exclusively of high-level, high-achieving IT, Business, Risk and Compliance professionals who are experienced, battled-scarred veterans who have been there, done that and achieved extraordinary levels of success. They didn't just run and transform companies and mission-critical divisions; many were industry movers and shakers, leaders who made their mark while making a difference. Our unique blend of seasoned technology, business and risk executives provide the needed expertise critical to overcome the challenges in today's complex, changing and financial services firms. TPG Advisors are brought into the firm based on both their stellar credentials and their willingness to now put their hard-won experience to work on behalf of our clients. As financial institutions face increasingly demanding and complex regulations (e.g., AML/KYC and CCAR rules), they need seasoned, experienced professionals to guide them through regulatory review and scrutiny, requiring important decisions on a daily basis. The multiplicity of expertise available through the TechPar network provides our clients superlative solutions to their need for outside assistance. Allen changed his given name from Allen to Avrohom Meir in November of 2018. Avrohom is the Hebrew name Abraham, vocalized in the style of Ashkenezic Jewry. According to the Bible, it means, "father (or pedagogue) to many nations." Meir means "one who shines." Avrohom is a talented, multi-faceted personality who is involved in risk management, compliance, cybersecurity and data privacy. He is leading the exciting launch of a new cryptocurrency startup called PairCoin and is the 2018-2019 editor of the "Bank Holding Company Compliance Manual" published by LexisNexis. Avrohom is an adjunct professor at Manhattanville Graduate School of Professional Studies. He teaches the U.S.’ first risk management course based on the ISO 31000:2018 standard. He also trains across the U.S. via his ERM 31000 Training and Consulting firm based in upstate New York. Avrohom earned his master’s degree in Leadership at Bellevue University in Nebraska. He participates with the Technical Advisory Group to ISO/TC 262, the US voting body for the ISO 31000 Risk Management Standard, and with the TC 176, the US voting body for the ISO 9001 Quality Management. 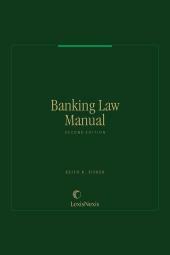 Bank Holding Company Compliance Manual was the creation of Joseph G. Beckford, who was the Manual's sole author for over thirty years from its inception in 1983 until his passing in April 2016. Mr. Beckford specialized in business and banking law. Before entering private practice, Mr. Beckford was Senior Counsel at Bank of America, and prior Director of Legal Affairs and Corporate Secretary at Southeast Banking Corporation. He handled a full range of corporate legal matters for those banking institutions and their domestic and international subsidiaries, including establishment of new banks and banking offices, formation of subsidiaries, lending, investments and other bank operations. Mr. Beckford handled the contractual, securities, antitrust and regulatory aspects of numerous acquisition transactions, and wrote the first Bank of America compliance manual. A graduate of Amherst College, Mr. Beckford received his LL.B. from Yale University and his MBA from Harvard Business School. He served as an officer in the United States Navy from 1962 to 1966.